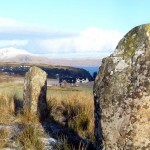 The standing stones of the Isle of Mull are unique to the Western Isles, and indeed the rest of Scotland, in that they are often arranged in the form of a small row of between three and five stones. 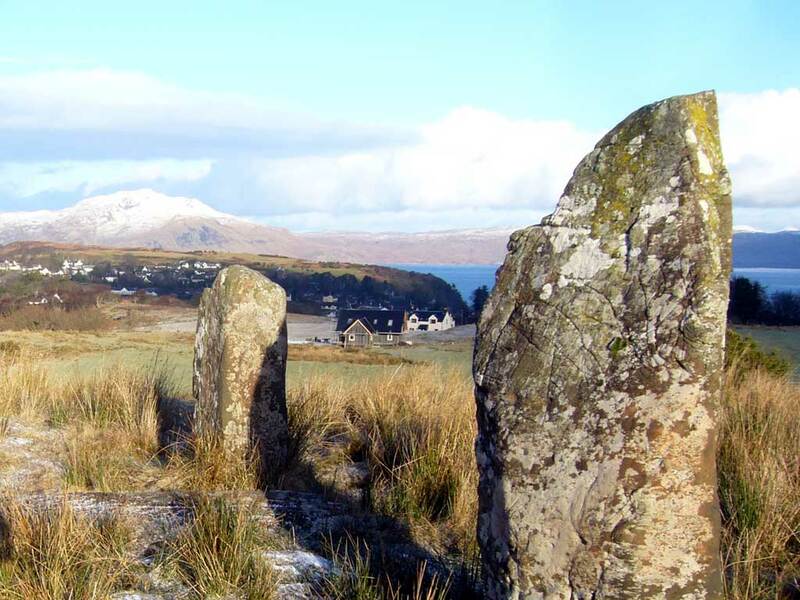 Baliscate was one of the early settlements before the village of Tobermory was created in 1788 by the British Fisheries Society which bought the estate from the Duke of Argyll and the Standing Stones can be located up the lane behind the Isle of Mull Pottery (great place for refreshments). 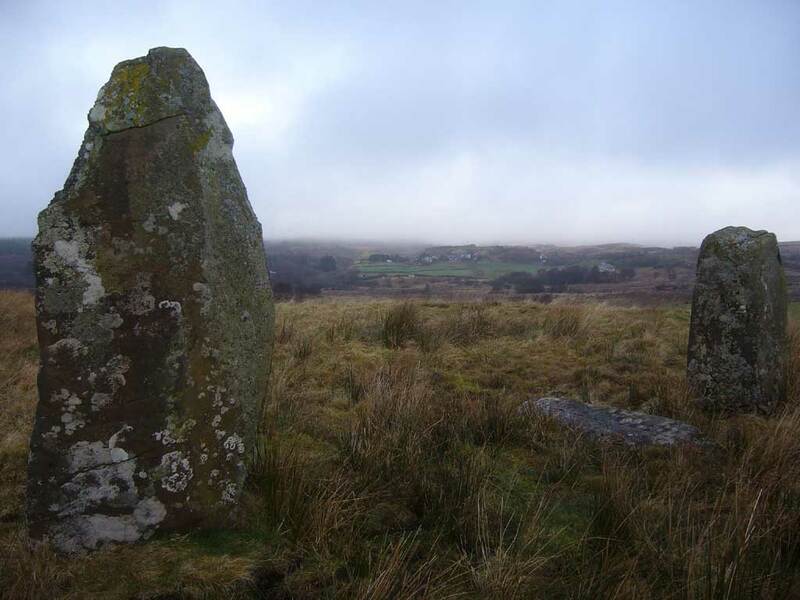 Before excavation the site comprised two standing stones with a recumbent or fallen stone positioned at right-angles in-between them. 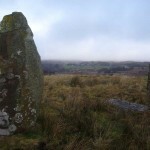 Excavation revealed that the original position of the recumbent stone was approximately equidistant between the two upright standing stones. 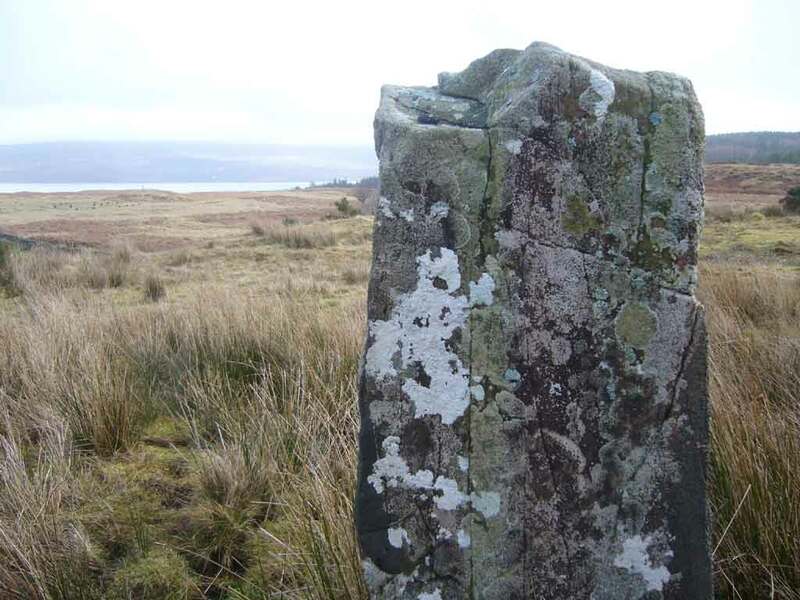 In addition to this the stump of a fourth, smaller stone was uncovered to the north of the row, which appears to have been broken at some point in history, and until its recent discovery was entirely covered by the peat. 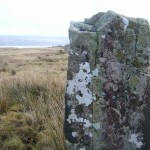 Close to the base of this stone, cut into the prehistoric ground surface, a very small cremation burial was discovered, from which samples were taken for dating.